Sir Joseph Simpson KBE., KPM. Joseph Simpson was the Chairman of the Horsehay Company and his wife, Dora, was a member of the Maw family, the famous Jackfield tile makers. The arrival of their first son, named Joseph after his father, probably aroused considerable local interest as the Simpsons were well known industrialists and major employers in the Dawley area. No doubt there was local speculation as to whether this newest member of the Simpson dynasty would, in time, follow in his father’s footsteps and join the family company. In fact, young Joseph’s life was to take a completely different course and one which would result in his achieving national recognition as the first police officer to move up through the ranks to become the Commissioner of the Metropolitan Police and Britain’s most senior police officer at the comparatively young age of forty nine. Young Joseph spent his early years in the Dawley area, where the family home was at Moreton Coppice, Horsehay, but then left to be educated at Boarding Schools at Ashdown House and Oundle, a well known public school in Rutland. As a youth, he developed into a notable sportsman and excelled in rugby and athletics. At Oundle School he became captain of the Rugby and athletics teams and in 1927 he won the public schools Long Jump Championships. In the same sports event the following year, he set a public schools’ record in the long jump of 22ft 3½ inches and ran the 440 yards flat race in 52 3.5 seconds. From school Joseph went on to study at Manchester University College of Technology. He represented the University at rugby and athletics, excelled in hurdling and running and also played cricket. In 1930 he competed in the World’s University Championships in Germany and set the record time of 54 1.5 seconds in the 400 metre hurdles. Following University, Joseph Simpson worked for a short time in the cotton industry but in 1931 he made the decision which was to totally change his life when he joined the Metropolitan Police. He was posted first to Wembley (X Division) and transferred to Bow Street (E Division). At 6’3” and with an athletic physique he had little difficulty in chasing and apprehending criminals. He also became captain of the Metropolitan Athletic Association and in 1932 competed in the Midland Counties Championship Meeting where he defeated Lord Burghley, the British Olympic Games Captain, in the 440 yds hurdles. Lord Burghley was a member of the famous team of athletes who included Harold Abrahams and Eric Liddell, whose story was the subject of the film ‘Chariots of Fire’. Lord Burghley regained his title later in the year in the AAA Championships when he beat Joseph Simpson into second place. During his public career Simpson continued to participate in sport and in addition to athletics, played rugby for the Metropolitan Police, the Policy Rugby Union and Middlesex. At various times in his sporting career he was associated with Birchfield Harriers, the London Athletic Club and Keswick Athletic Club. He was also a keen rifle shot and cricketer. 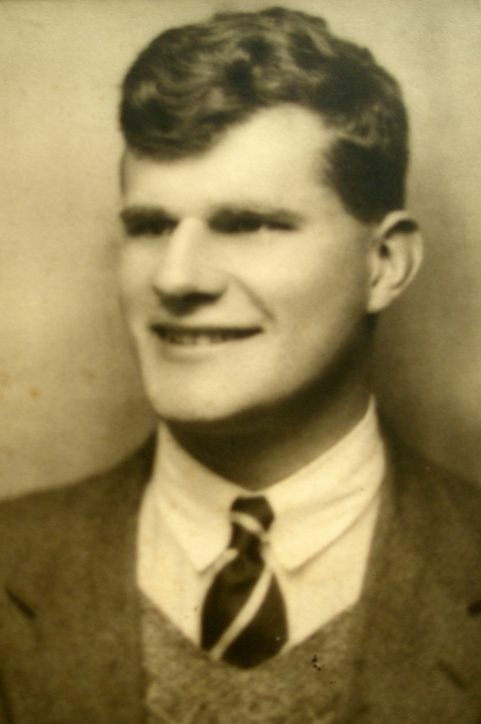 Although he was eventually forced to give up both rugby and hurdling because of a shoulder injury, he remained keenly interested in sport and, in particular, was a great supporter of sport in the police forces in which he served. His second cousin, John Simpson, also a competent hurdler, well remembers staying with the Simpson family at their home in Surrey in 1948 when Joseph Simpson gave him useful coaching and advice in sessions held at Charterhouse School. In 1934 Joseph Simpson was selected to be one of the thirty police officers to attend the first course at Hendon Police College. He graduated as top student and won the prize for Criminal Law and Procedure in 1935. On completing the course, he was promoted Acting Station Inspector but returned to Hendon in 1936 as a member of the instructional staff. In the same year he married Elizabeth May (known as Betty) Bowler. During this period he had also obtained a law degree and in 1937 was called to the Bar by Grays Inn. The years that followed were years in which Simpson’s Police career progressed rapidly. In 1937 he was appointed Acting Chief Constable of Lincolnshire. In addition to his police studies, he found time to pursue a new sporting interest becoming an active and successful member of Lincoln County Rifle Club. With the storm clouds of WW2 gathering, in 1939 he was seconded to the Regional Police Commissioner offices. Between 1939 and 1943 he served first as Regional Police Staff Officer and then as Acting Inspector of Constabulary in both the Nottingham and Cambridge Civil Defence regions. His contribution to the war effort was recognised with the award of an OBE for his services to civil defence in 1946. Late in the same year he was appointed Chief Constable of Surrey, a post he was to hold for the next ten years. The new Chief Constable of Surrey, his wife, Betty and their two sons, Mark and Benjamin settled near Goldalming. Joseph Simpson resumed his interest in rifle shooting begun during his time in Lincolnshire. He became Chairman of the Surrey County Small Bore Rifle Club and, the now defunct, National Short Range Rifle League based at Bisley. Mrs. Simpson bred Labrador dogs and Joseph developed an interest in training working dogs. Through this he became increasingly aware of the potential for using dogs in police work. Consequently, Surrey was one of the first Police Forces to incorporate this aspect of policing into the service. John Simpson recalls that their home was near to Surrey Police Dog kennels and during his visit to his Simpson cousins in 1948, he helped to set trails for the dogs as part of their training. Joseph Simpson’s services to the Police were subsequently recognised in the 1952 New Year Honours by the award of the King’s Police and Fire Services Medal. On 1st. March 1956, almost exactly twenty seven years after he joined as a young Police Constable, Joseph Simpson returned to the Metropolitan Police as Assistant Commissioner “B” in charge of traffic policing. It was in this role that he accompanied the then Transport Minister, Ernest Marples, to Canada and the USA to study methods of traffic management. It is interesting to note that it was Ernest Marples who later introduced parking meters to London and gradually in most of the major cities in Britain. Just sixteen months later the Commissioner of the Metropolitan Police, Sir John Nolt-Bower, announced his retirement to be effective from August 1958. On the 6th. June 1958 the ‘Police Review’ announced that his Deputy Mr Joseph Simpson had been appointed to succeed him. Joseph Simpson’s appointment received considerable national publicity. At forty-nine, he was the youngest Commissioner in living memory but importantly he was the first professional police officer to rise through the ranks to become Britain’s most Senior Police Officer. 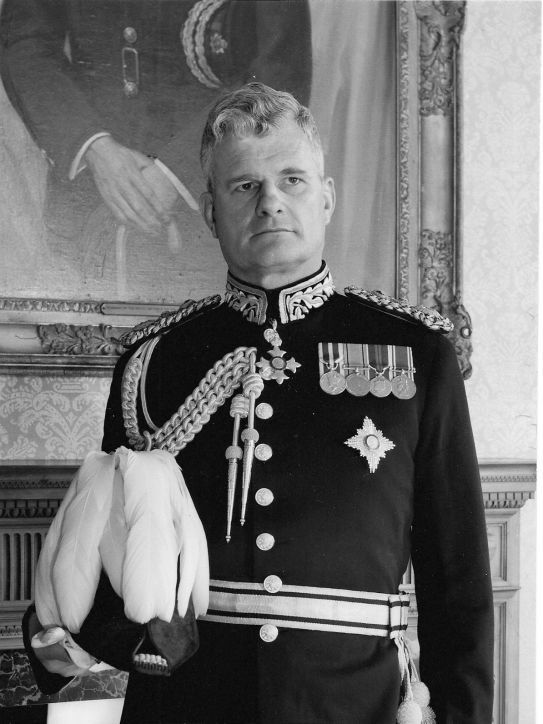 In the 1959 New Year Honours Joseph Simpson was knighted as a Knight Commander of the Order of the British Empire (KBE). As Sir Ranulph Bacon, who was to serve as his Deputy, again wrote, “Well though our force has been served by soldiers and civil servants at its head, the dream of every London policeman was to see one day a man who had risen through his own ranks to Commissioner.” With the appointment of Joseph Simpson that dream was realised. He took up his post with one ambition – to make the Metropolitan Police Force the finest in the world and in the ten years he served as Commissioner, he achieved his ambition. He took office at a time when there was a steep rise in crime, particularly gangland crime, a distance had developed between senior officers and lower ranks; police recruitment was at a low ebb and the relationship between police and public was deteriorating. Sir Joseph Simpson was known to be a fair and tolerant man, a great believer in discipline and one who set himself high standards and expected the same from his officers. He also believed that senior officers and lower ranks should work towards a closer relationship. As Commissioner he led by example and quickly established a more personal style. Members of the Force were given the opportunity of meeting him both on and off duty and he regularly attended the many social and sporting events held within the Metropolitan Police. Indeed, he liked nothing better than to be in the company of his colleagues on these occasions and remained commonly known as Joe Simpson to his men. As a sportsman himself, he also recognised the importance of encouraging athletics and other sports and games within the Metropolitan Police. Having risen though the ranks to become Commissioner, Joseph Simpson was deeply concerned about the welfare of those under his command. He attached no personal importance to rank, salary and public acclaim, and firmly believed that a good constable walking ‘on the beat’ was doing just as important a job as he was himself. He never forgot those who had joined the ‘Met’ with him as police constables and always remembered and addressed them by their Christian names. He used the award of the Commissioner’s Commendation, given for outstanding acts of courage as an opportunity to get to know the recipient personally making it a meaningful though informal occasion for both the officer and himself. He hated unfairness in all its forms and often dealt with problems personally in order to ensure that justice prevailed but equally, he was meticulous in his attention to detail in dealing with internal disciplinary matters. 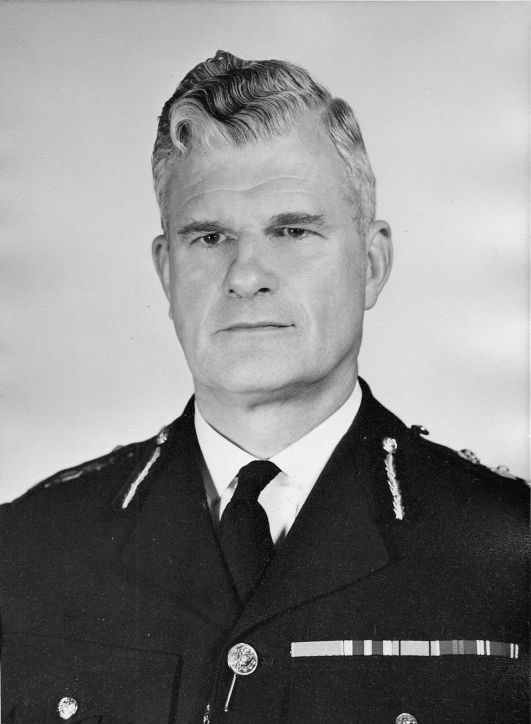 In his role as Commissioner, Sir Joseph Simpson embarked on an almost continuous programme of reform and new initiations, all with the aim of modernising and improving the Metropolitan Police. Under his leadership the Metropolitan Police Cadet Corps was expanded and new methods of training ensured that both general education and activities to develop a sense of discipline and responsibility were an integral part of the programme. The training of new police recruits was also radically overhauled and modernised. With the increase in crime levels, particularly violent gangland crime, one of his first priorities was to strengthen the Criminal Intelligence Branch (CID). He also set up the Stolen Motor Car Branch. Another politically significant initiative was the formation of the Crime Intelligence Branch. This was to develop into the nationwide network of regional crime squads which still play a vital role in fighting crime throughout Britain today. This was followed by the establishment of further specialist developments, the Special Patrol Group (1961), Obscene Publications & Drugs Squads (1963), Art Squad and Antiques & Philately Squad (1967). In addition, he expanded the Metropolitan Police Flying Squad. It was probably his keen interest in using the newly developing forensic skills to fight crime that encouraged him to lay the foundations for a Scenes of Crime Branch. This initiative did not come into being until shortly after his death but in the 21st century Scenes of Crimes Developments are now an integral part of the British Police Service. In modernising the ‘Met’ nothing escaped Sir Joseph’s attention. Acutely aware of the shortage of manpower, he devised and implemented new systems of working police ‘beats’ and encouraged the use of any new technology available to support his officers. He introduced personal radios and expanded the use of Panda Cars for patrol purposes. As a former Assistant Commissioner for Traffic, it is not surprising that he was the Commander who introduced traffic wardens and fixed penalty policing fines – another initiative which was subsequently adopted by most of Britain’s major towns and cities. Crime prevention measures were used in attempts to improve police and public relationships and the public was urged to ‘have a go’ in the fight against crime, with the caveat that citizens should not tackle armed criminals It was Sir Joseph Simpson who also reorganised and integrated the Metropolitan Special Constabulary more closely with police divisions. The metropolis itself was in the throes of change during this time and when the Greater London area came into being, Sir Joseph moved quickly to align police divisional and sub divisional areas with those of the new authority to enable the two to work more closely together. By 1964, it was considered likely in some quarters that the Commissioner would be contemplating retirement but he remained in office. There was still much to do, a further major reorganisation of the “Met” to be planned as well as valuable contributions to changes proposed within the Police Service nationally. In addition, in his work as Commissioner, Sir Joseph accepted many of the official and semi-official appointments in connection with his professional work and all were assured of his attention and involvement. These included Vice Patron of the Amateur Athletic Association, Vice President of Middlesex RFU and Chairman of the Working Trials and Obedience Committee – the Kennel Club. In 1963 he was elected President of the Medico-Legal Society for a two year period. He became Vice President of the Association of Chief Police Officer in England and Wales (ACPO) in 1966 and was elected President in 1967. Ten years of total dedication to the Metropolitan Police and indeed to the Police Service, were to eventually take their toll on Sir Joseph’s health and on 19th. March 1968 he died suddenly at his home at Roehampton, Surrey at the age of fifty eight. His death came at a time when many of these initiatives and reforms were just coming to fruition. In July 1967 in his Annual Report he stated that there were signs that the rise in crime had been checked and that relationships between police and public were improving. Sir Joseph Simpson’s funeral took place with full honours, at Westminster Abbey on 29th. March 1968. The memorial address was given by the Lord Bishop of London, The Rt. Reverend & Right Honourable Robert W. Stopford, D.D., and both the Metropolitan Police Band participated in the service. All Metropolitan Police Officers who were able to do so observed a one minute silence at 11am as the funeral service began. for the information provided in support of this biography.